Started in 2002 with 2 teams, 1-Pup and 1-Jr. Pup, the Pleasanton Lacrosse Club has grown year after year. In 2014 we sponsored 11 youth boys lacrosse teams with over 200 players, ranging in age levels from U9 to High School JV boys. Our Mission: PLC is a nonprofit organization founded to provide our youth the opportunity to play lacrosse and have a positive, character building experience. Through the game of lacrosse players learn lessons that will last a lifetime. 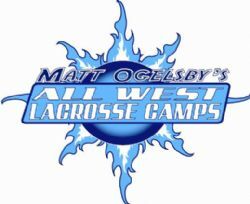 We focus our coaching in three areas, Athletic Skills, Lacrosse Skills, and Work Ethic. By these three principals we will explore life lessons, exploit teachable moments, and provide a fun character building lacrosse experience on and off the field to our young athletes. At all times we will adhere to the Positive Coaching Alliance “Double-Goal” coaching principal of striving to win while achieving a more important goal of using sports to teach life lessons.